The Supertuff Europe range of dosing tanks and containment bunds are manufactured to a very high standard in the UK. 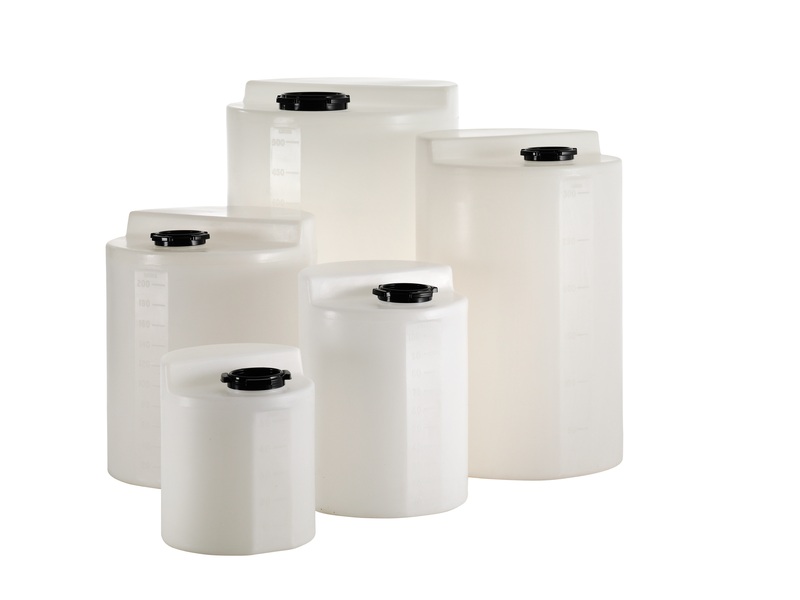 Produced from a tough virgin grade polyethylene our round liquid storage tanks and circular plastic bunds are incredibly durable. 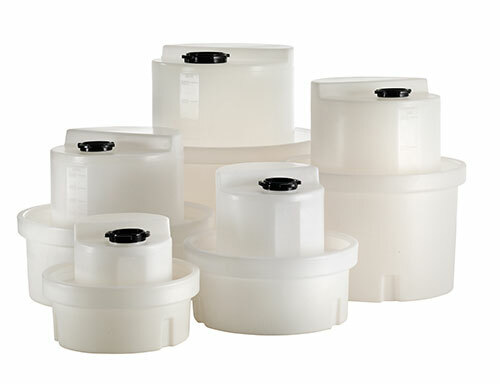 Commonly used within the water treatment and chemical dosing industries, the round plastic storage tanks are available in a variety of different sizes, from as small as 25 litres up to a huge 1000 litre capacity. 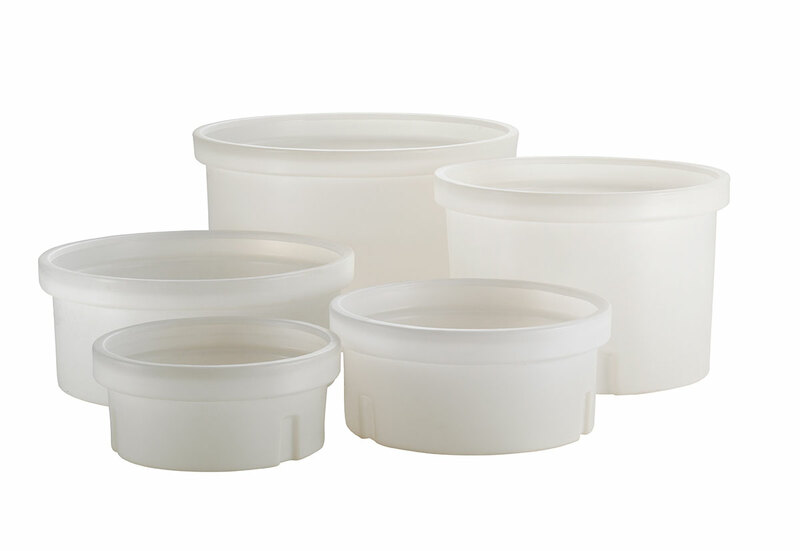 Each of the day tanks is supplied as standard in an opaque white (natural) colour, that allows visibility and measurement of liquids or chemicals contained using the integrated volumetric gauge. Alternative colour options are available on request for both chemical dosing tanks and containment bunds. Bund tanks are also available in a wide selection of sizes, designed to accomodate the corresponding liquid storage tank, providing a capacity for 110% of the volume of the dosing tank. The plastic bunds are able to be inter-stacked and they incorporate a stepped base design that prevents them from jamming together when nested. This inter-stackable feature helps to save on large amounts of storage space when the bunds are not in use and during transportation. Ideal for use as fish inspection tanks or aquaculture tanks, the containment bund range is designed to be easily cleaned and extremely robust.